When there's a new baby in the house, an older sibling needs a little extra guidance, a little extra reassurance, and a little extra love. 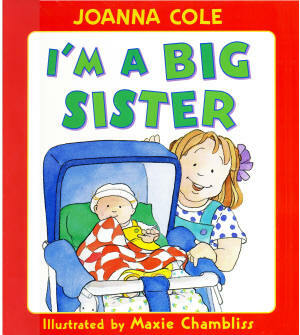 This book tells some ways to help the older sister adjust to her new role. This large 11 x 10 hardcover book with 12 thick pages is beautifully illustrated and tells a welcoming story for the new Big Sister.